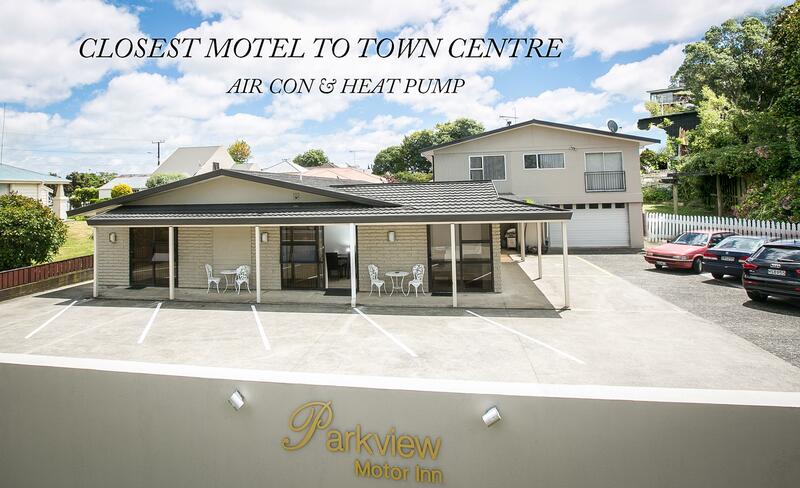 Parkview Motor Inn is centrally located in the town centre of Pukekohe. 400m / 2 min walk to main street shops. There are excellent restaurants, cafes and bars in our town and Pak'n Save super market next door. Just 1.3km from Pukekohe Railway Station. Close to Karaka Sales Centre(20km) and Auckland international Airport(42km) also.Recently renovated with 8 tidy rooms, we offer barbecue facilities, free WiFi access and SKY TV. Air-conditioning/Heat pumps in rooms. The heated guest rooms have a kitchenette with a fridge, a stove, a microwave and a toaster. Other amenities include electric blankets, a work desk and a LCD TV. Rooms with disability access are available.We are within a 6-minute drive of Pukekohe Hill and the Pukekohe Racecourse Motor Racing Circuit. Auckland Airport is a 40-minute drive away.We welcome you to stay and will make every effort in arranging a wonderful stay with us. Business travellers and groups welcome..
Parkview Motor Inn is centrally located in the town centre of Pukekohe. 400m / 2 min walk to main street shops. . . . More . . .